Armed with a desire to tough stories unfolding on the world stage, I’m equally at home in front of the camera and behind it. 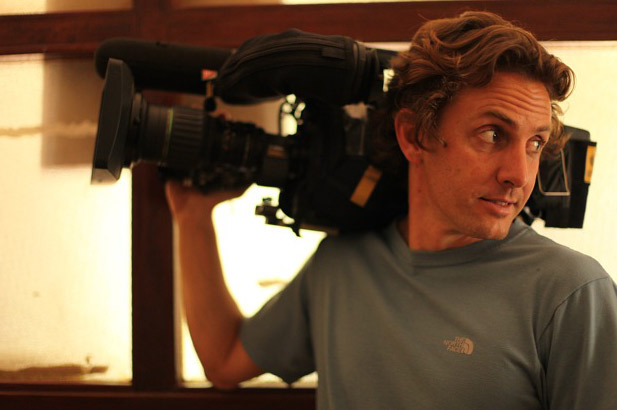 Passionate about the craft of story-telling I’ve spent twenty years shooting, directing and reporting news, current affairs and documentary films for National Geographic Television, Discovery Channel, ABC and SBS (Australia), The Seven Network (Australia) HDNet, NBC, Channel Four (UK), PBS, CNN and OWN. My filmmaking career began in 1997 when I was 22. I left my job as a television news reporter in rural Queensland, bought a first-generation digital video camera and sunk every penny I had into my first filmmaking expedition. My goal was to hitch-hike from Cape Town to Cairo and document stories of young African people along the way. What I envisioned as a rollicking boys’ own adventure soon took on a more serious tone as I chronicled stories of police brutality in Johannesburg, landmine victims in Mozambique, the heroine trade in Tanzania, the sexual abuse of street children in Zimbabwe and the disparity between rich and poor in Kenya. The series, “Afrika! Cape Town to Cairo” was sold to television networks in forty countries including the US and UK. In 1999 I was invited to join the staff of National Geographic Television in Washington, D.C. For my first assignment I traveled with my brother, Duncan, through Albania and Kosovo documenting the impact of the disintegration of the Balkan states on the civilian population. The film, War Child, won my brother and an Emmy. Later that year I filmed the first contiguous descent of Ethiopia’s Blue Nile gorge in Assignment: Blue Nile. In 2000 I profiled the lives young South Africans struggling to survive in the post-apartheid era, in Apartheid’s Children and was lucky enough to interview Nelson Mandela. Later that year I made Honor Among Men, a film about the violent abuse of women in Pakistan. In 2002 I made Days of Rage, a 90-minute film about Second Palestinian uprising. For the next three years I worked as a presenter in more than twenty documentaries. Among other stories, I reported on the rise of terrorism in Morocco, the persecution of gays in Iraq, the plight of Afghan refugees in Pakistan, the environmental cost mining in Peru, the human obsession with speed, and I was fortunate to spend a season filming with rescue climbers on Denali, the highest mountain in North America. During this time I was also working on my labour of love, a feature-length documentary called The Choir about music in the prisons of South Africa. Completed in 2008, The Choir has screened in theatres around the world and was awarded the AFI Best Director Award and the UN’s FIPA Human Rights award. In 2008 I directed and produced, Gorilla Murders for National Geographic Television, a film examining the impact of the Congo’s civil war on people and wildlife. The film won an Emmy for outstanding investigative journalism. Since then I’ve shot and directed films about transgender children in the US, the impact of the Gulf Oil spill on Louisiana’s fishermen, inmates at the Ohio Reformatory for Women, and child prostitution in Washington DC. Most recently I co-created and co-series directed the 7 x one-hour series Belief for the Oprah Winfrey Network and Discovery Channel. Belief was seen by over 10 million people in its premiere week in the US and has been broadcast in 160 countries. My passion is telling the under-reported story, chronicling the lives of people on the frontlines of change.